One of the birds of unknown species that we met after approx. May 12 everywhere on our traverses. The picture of this particular bird was taken from a distance of one meter but one could also approach much closer. Again the weather has cleared during what must be one of the least fortunate field campaigns in Greenland in terms of weather. 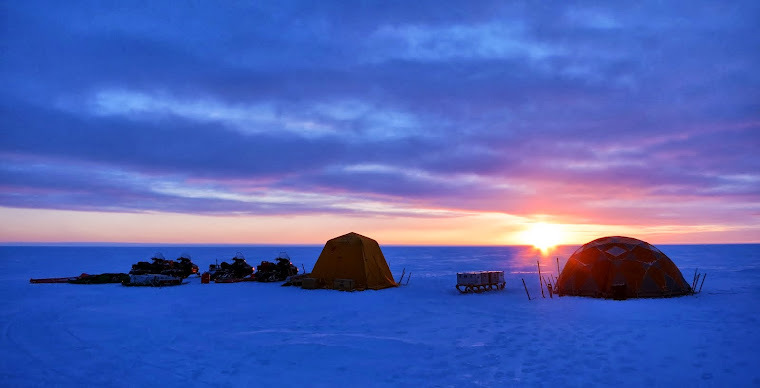 They did manage to drive up to 2350 m to drill their highest ice core, but as anticipated couldn't make it to the ice divide, 30 km further and 100 m higher. The aimed distance of radar measurements was adjusted down. Also taken off the program was the Parca-site core, which would have added a lot to interpreting evidence of climate change in the region. It is a shame when you aim high & not get there, but the group has collected a large amount of very interesting data in spite of generally bad weather - impressive! Yesterday and the day before the weather was nicer than ever... Only ten degrees C below freezing, no wind and lots of sun - perfect conditions and a good time to finally take off some layers that have been warn for weeks on end. They processed their most recent core and started packing up camp. With only 3 days left before their planned Twin Otter flight down to Kangerlussuaq it is best to make a run for Dye-2 before the weather comes in again and they are stuck on the ice sheet longer! The team mentioned that the bad weather over the past weeks must have taken quite some birds off their route during seasonal migration... They reported hundreds of sparrow-like birds around camp. 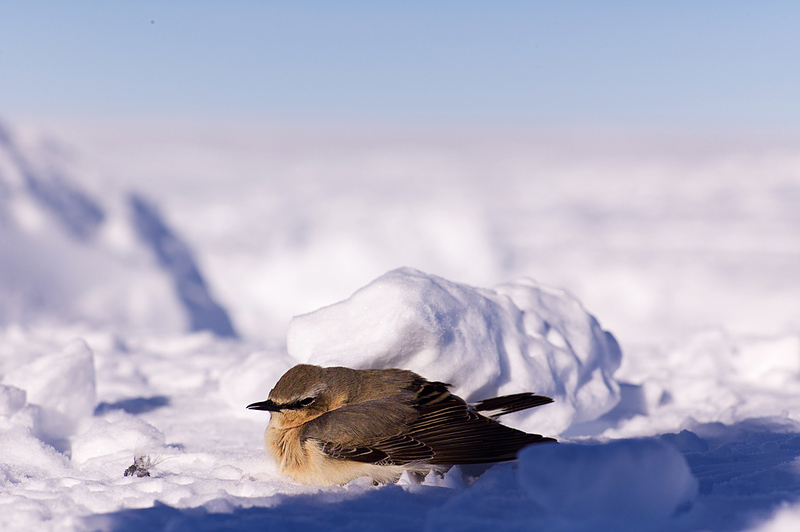 The birds must have been happy to see something else than the endless white snow surface and decided to take a rest. For quite a few this is the last stop. The ones that stay alive are too exhausted to worry about the humans in their puffy clothes and don't mind being picked up by hand - which is quite necessary when the birds take shelter underneath your snow mobile.